Begin the trail near the parking place of the Porto Pim beach. 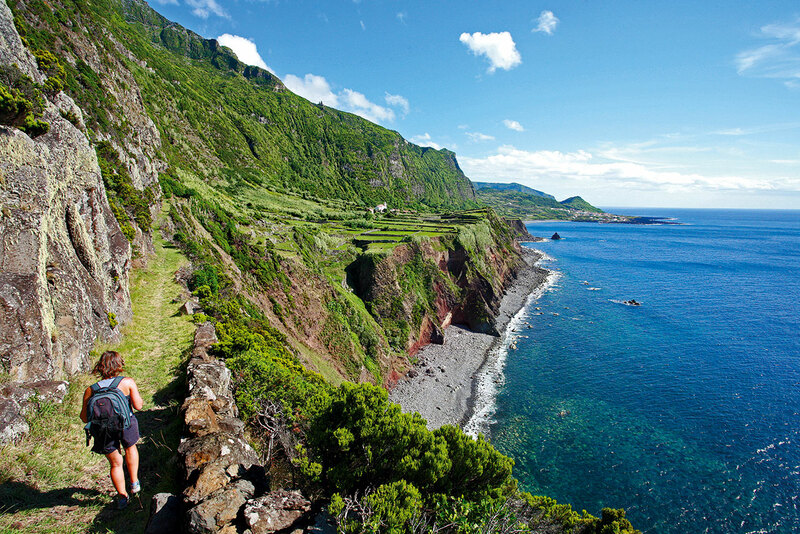 Pass by the Observatório do Mar dos Açores and with the facilities on your right, go up until the viewpoint of Lira. From here it is possible to see the bay with the fortress of São Sebastião on the opposite bank. All along the trail there are several fortifications for maritime protection from the XVI and XVII century, baptizing the place as Porto Pim, meaning Safe Harbor. Continue until the road where you should follow right, crossing the chapel of Nossa Senhora da Guia. 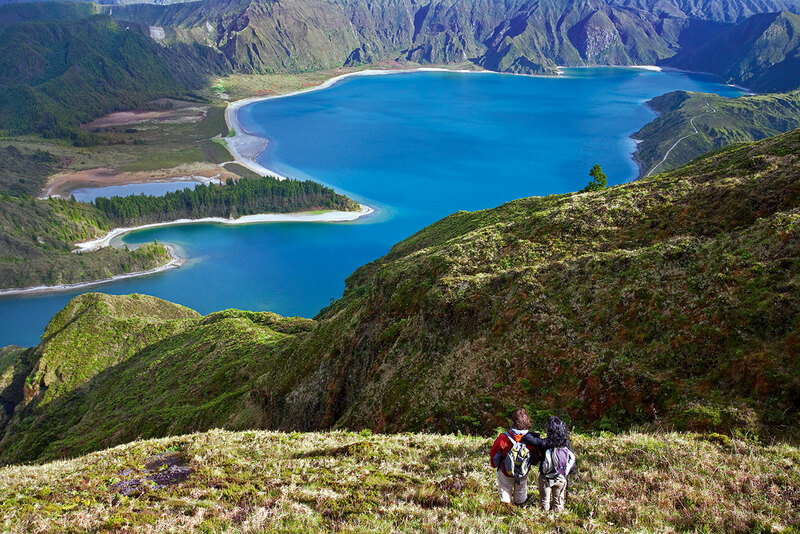 Proceed South, with Caldeirinhas (underwater volcano craters of Monte Guia) on your left, until the trail turns North with view over the beach. Pass by the Porto Pim Aquarium, where most of the common species of the Azorean seas are exhibited, and afterwards, the house of Dabney. The family lived here from 1806 to 1894, leaving an enormous edified heritage, recovered by the Parque Natural de Ilha. 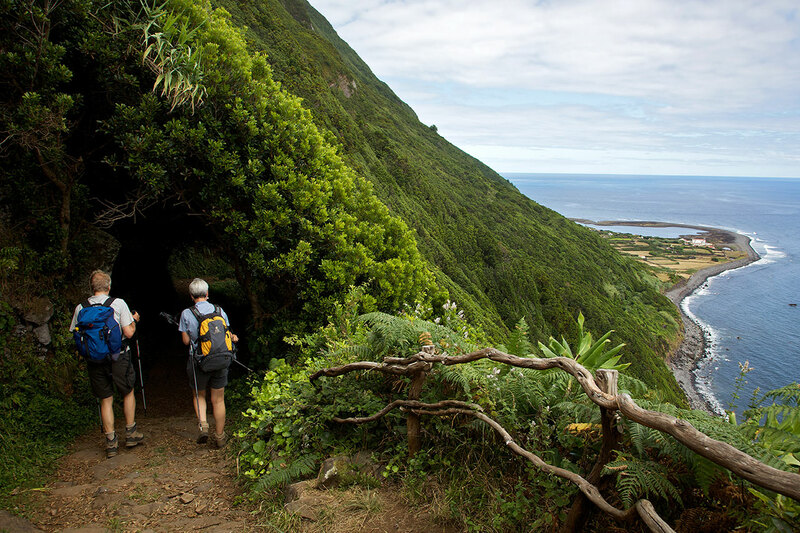 At this stage of the walk, follow left along the beach, leaving Monte da Guia and entering Monte Queimado, a volcano of terrestrial origin. At the end of the beach follow right by Rua da Rosa and at the end, turn right again by the peak of Monte Queimado. Before reaching the top, profit to rest and enjoy the view over the marina of Horta. The trail continues until the parking place, place where the walk began. After the walk, profit to visit all the places of interest along the trail.